Council president Maritza Davila did not appoint councilman Luis Velez as chair or co-chair of a single City Council committee. She also did not assign him as member to a single significant committee. Velez was assigned as member to the council’s education and youth services committees. Both of these committees are not as significant as finance, public works, or public safety. Velez described both as inactive committees. Luis Velez, 5th Ward councilman. Davila did not respond to a call for comment on Tuesday afternoon. 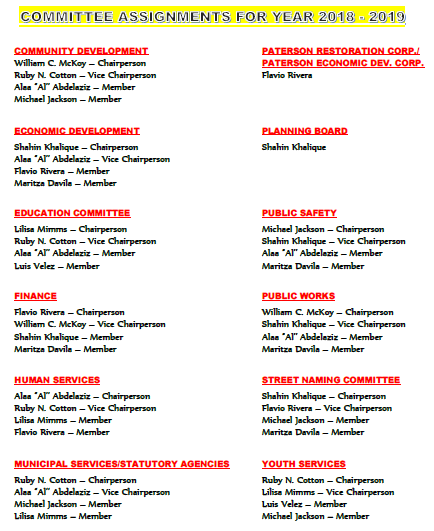 Committees provide oversight to the different municipal departments. Each committee meets with directors and supervisors of their respective departments. Committee members, particularly the chair person, are able to effect change within the departments. In the last fiscal year, the Department of Public Works, for the first time in eight years, managed to properly clear snow from roadways following storms. As the chairman of the public works committee, Velez urged the administration to pay its vehicle repair bills on time to ensure trucks were available for deployment on snow days. Velez also patrolled roadways to ensure they were passable. He said his committee held public works accountable while providing it the needed equipment to carry out its functions. When asked if he thought Davila was settling a year-old score with him. “I’ll let the people make their own judgment on that. My way to be is: I don’t hold grudges; I don’t feel offended,” he said. City Council committees and their assigned members for 2018-19. 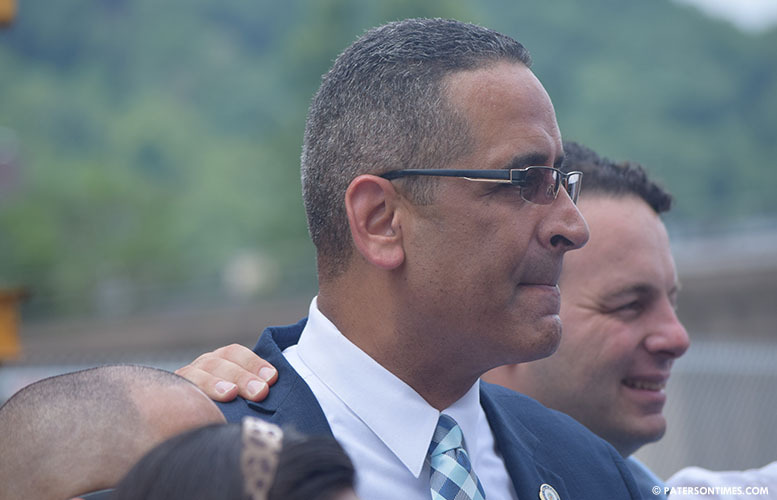 Velez has earned the ire of Davila following last year’s City Council presidency vote. 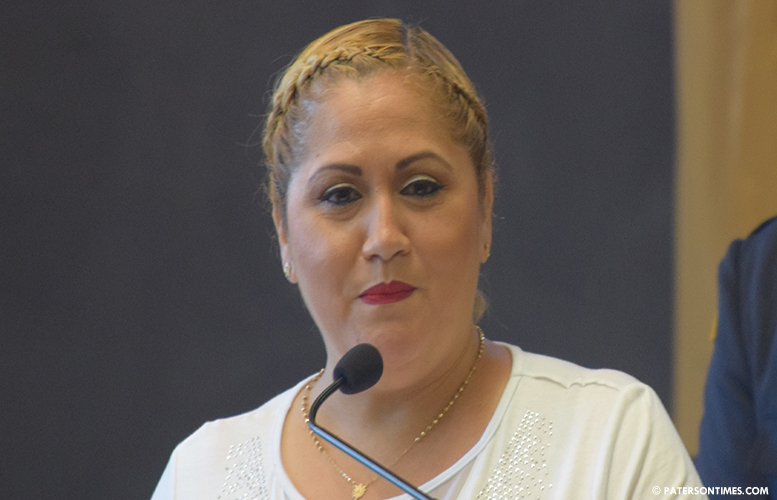 Davila suggested he had given his word that he will vote for her for the presidency; however, Velez cast his vote in favor of councilwoman Ruby Cotton. Last Tuesday, Velez and Davila clashed at the workshop meeting of the council. Both spoke over each other at the meeting. Velez twice walked out of the meeting after Davila tried to rein in his commentary. “If that is working together, let it be,” said Velez. Hopefully, one of these days, they learn, one thing is politics and another is governance, he said. I assume being a chair or co-chair of one of these committees allows these thieves to earn more in bribes? I wonder when these committee members will start "patrolling Paterson's roadways" to look for potholes to be filled in. As I drive, I hit so many potholes that it feels like the bones in my body are being crushed. I can't wait to see what will happen when I send the city a bill to reimburse me for a repair bill for a bent wheel rim and blown tire. As long as I am talking about roads, here we are a month into Summer, prime time for road re-paving. I have not seen one crew out doing what was promised to the public. It's been over 2 weeks I called DPW about bags of garbage on the Corner of Marshall & Atlantic Street that were dumped on the sidewalk. STILL AWAITING. Must I just drag them to the middle of the street to see if they pick them up. Owner of the house on that corner (Marshall & Atlantic St.) cut the grass, dumped it on top of the garbage bags, claims it's not his property, not his problem. Go figure.